Our Amish Outdoor Glider Bench has the timeless beauty of the faithful Adirondack style! This Amish Outdoor Glider Bench is finely crafted from solid pine wood and is available unfinished or stained. 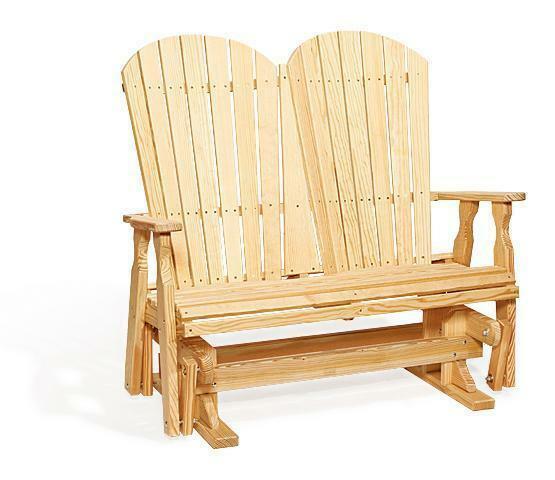 This pine glider is perfect for outdoor entertaining and relaxing. Create an outdoor living space by pairing this glider bench with our swivel glider chair, our fan back swing and our fan back rocker.